New Polish On The Blog! Pocket Money Polishes (PMP)!! 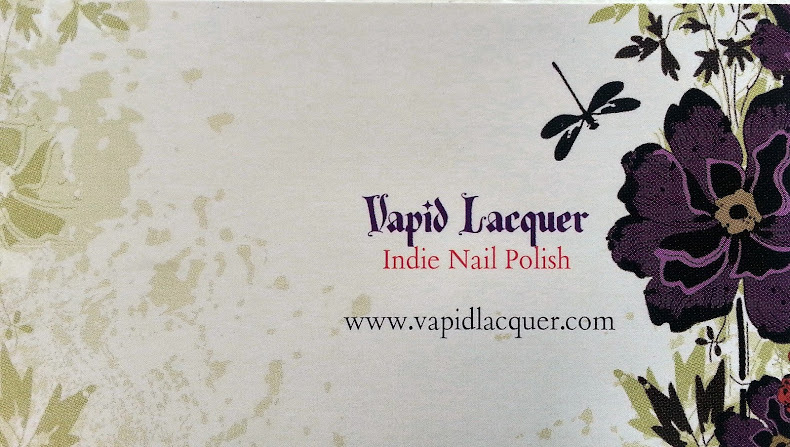 PMP (Pocket Money Polishes) was launched to the Polish public on Monday 24th June 2013 and i was lucky enough to have been included in the sneak previews of the first set of polishes that can be bought directly from PMP as from today HERE. The maker and creator of PMP's is Charlie who has been busy experimenting and getting feedback from numerous polish addicts (would explain why i was there then!!). What is great is that Charlie is in the UK, so for a nice change we don't have to pay to get some snazzy polishes shipped from abroad! 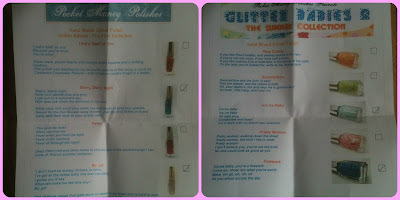 The first released polish set is called "Glitter Babies Original" and colours, orders and description can be found HERE. The polishes at the moment are Limited Edition and made to order, so snap them up when they're available! This collection is based on Classic songs, and the colours really do suit their names! 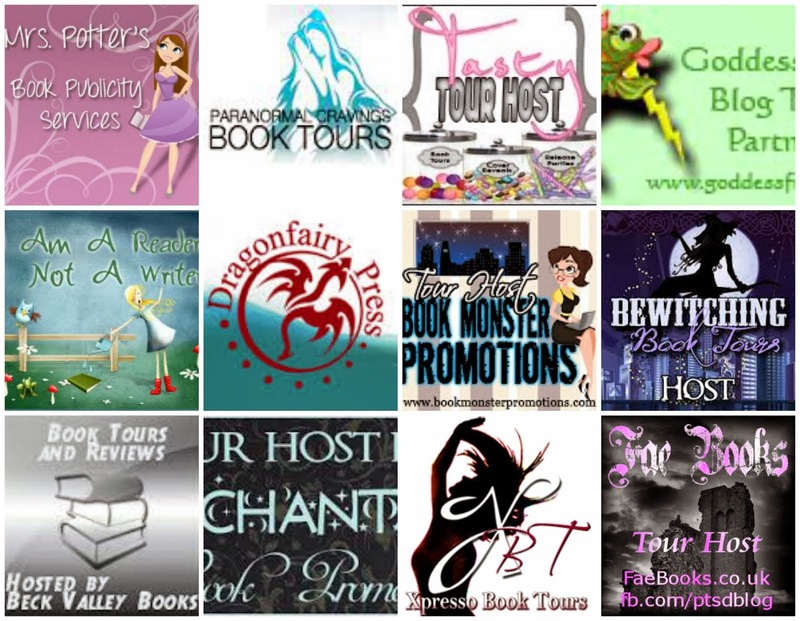 The second collection, " Glitter Babies 2 - The Summer Collection" is also on the same link and a little further down the page and is released on 1st July. At the moment, the polishes are a complete glitterfest and needs a colour of some sort as a base underneath. The base colour can be so varied! So i have the ones i tried the polishes with and hopefully will be able to give you some blog links later on to show you other colours. The first thing that grabs you when you open the package is the little extra touches that Charlie does. The polishes are wrapped in tissue paper, and inserted into a little hessian pouch. i love the extra touches, it adds that little extra smile when you open them and feel that you are wanted to love all aspects of the polish. 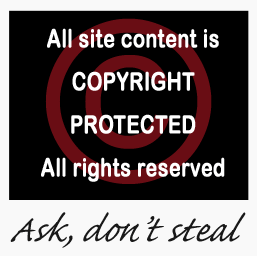 And these little touches are so easy to achieve and are so joyfully received. 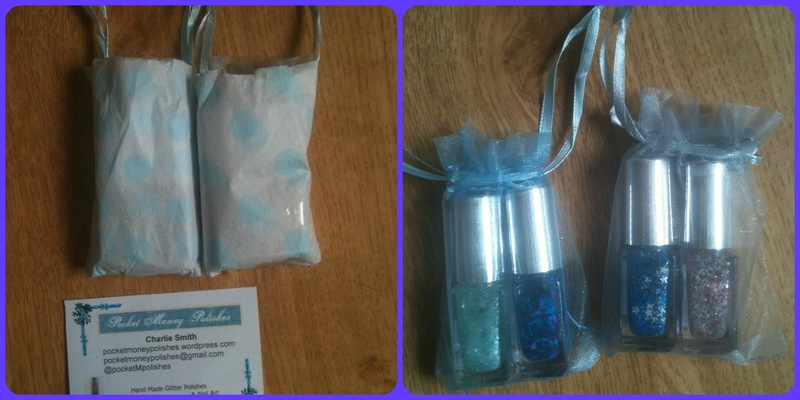 So along with the polishes, upon opening you also get a sheet. This tells you what you have ordered and also tells you about the other polishes available. From the first collection i got two bottles which appealed to me the most - "My Girl" and "Starry, Starry Night". My Girl is a clear based pink and white glitter pieces. There's also very small pieces of multi coloured glitter, which doesn't overpower the bigger glitter pieces but adds a nice sparkle when the light hits it just right. "My Girl" is put on top on Sinful Colours "Rich In Heart" which is a deep Vampy red. From the same Original collection i got the "Starry, Starry Night" which is a clear base, with white stars with blue and yellow small pieces of glitter that, again, glints every now and then when the light catches it. I put "Starry, Starry Night" on over China Glaze's "Bizzare Blurple". i thought this combination was great - there was oodles of stars and glitter that covered each nail with just one coat. I have to admit to loving this one! From The Summer Collection, again, i picked two - "Ice, Ice Baby" and "Firework". First is the "Ice, Ice Baby" which has multiple minty green and white glitter pieces. This is over China Glaze "Blue Years Eve"
Next was "Firework" which is a clear base with blue stars and strips and purple hexagons. I put this over a Primark silver polish and found it really suited being on the light colour! Charlie is constantly researching to find what the next selection of PMP polishes will be. These first two collections are clear polishes with tons of glitter which suits being brushed over a base colour. They're all very versatile and suit several colours. PMP has a loyalty scheme too, which is a first that I've seen! 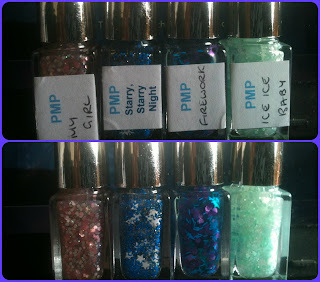 Buy ten polishes from PMP and get one absolutely FREE! And the best thing, is you don't have to buy them all in one go, it can be accumulated over time, so there's always a bonus to buying these yummy glitter bombs! A great start to a new UK Indie polish maker, which i hope will go from strength to strength. 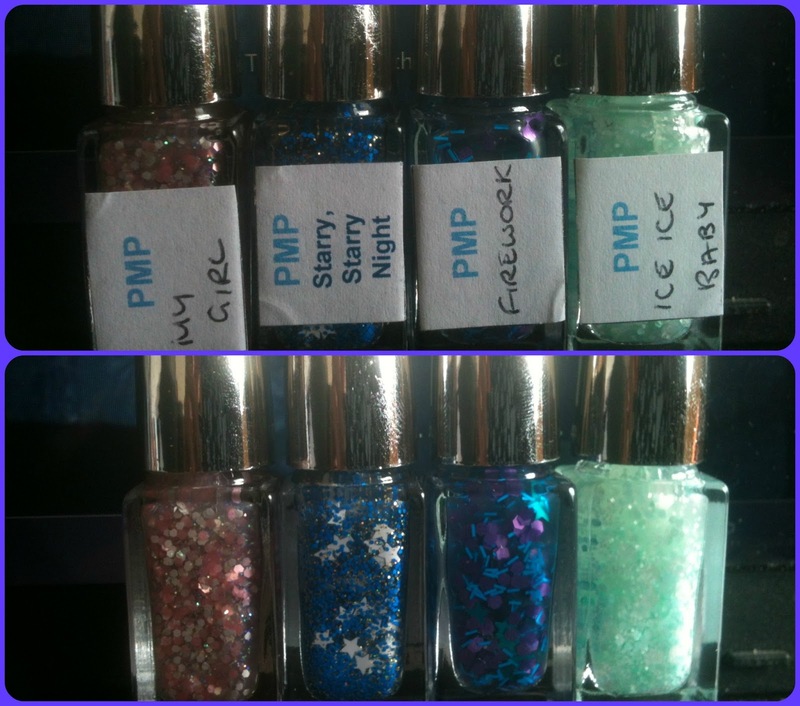 I can't wait till PMP has the colours and glitter in one bottle (I'm a lazy polisher! ), I'm sure they'll be just as great as these new glitter polishes! To have a look at just how versatile these polishes are, check out these bloggers, who also helped with the reviews! Great range of colours!